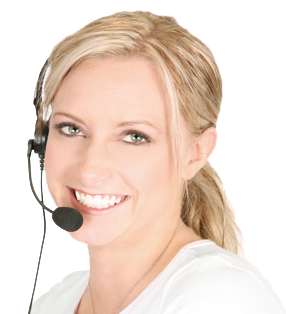 There is a lot of information that you can easily access regarding credit repair and how it works. Not everyone however, wants to get bogged down with the technicalities of loans, mortgages, interest rates, and debt to income ratios – at least not the millennial. Yet, there are certain indispensable elements that everyone should know, in order to disabuse themselves of the ‘misconceptions & myths’ associated with credit. Another reason that makes it a necessity for everyone to grasp the basics of how credit works is that every individual handles money differently, and their management strategies too are dissimilar; what works for one might not necessarily work for others. Therefore, to help, this post focuses on the facts and figures that highlight the relationship between credit and millennial and also delves into some ‘must-know’ elements of credit. A few months ago, Rod Griffin, the public director of Experian, explained in simple but precise words, the difference between “credit” and “debt” — two words often used interchangeably by youngsters. He said that credit is a financial tool, whereas debt is a financial issue. Surprisingly, many millennial do not understand the difference, and this lack of knowledge extends to other equally important issues, such as building good credit and rehabilitating it when battered. Alarmingly, according to a survey commissioned by Bankrate, almost 63 percent of millennials do not have access to a credit card. While a April 2014’s Gallup poll showed the ‘Great Depression’ as the pivotal cause behind the general decline and the non-dependence on credit cards among Americans, the advent of the Credit CARD Act of 2009 has made it difficult for people below 21 years to secure a credit card. Millennials grew up at a stage when the economy was tanking. During this time, paying off bills, debts and getting a job was the major concern. Rapid increase in student loan obligations means that most of the millennials are burdened and extra-cautious when it comes to getting new credit. While some are comfortable in their shoes, others have a strong aversion to the assumed and real risks of credit card usage. The issue of fear, in fact, is more apparent in millennials who have credit cards, as 40 percent do not pay their bills on time–especially when compared with people above 30. Again, many older people in the age group of 18-29 have delinquent accounts. Given this, it would not be incorrect to say that such trends are creating more fear in millennials regarding the use of credit cards. But, Is Icing Out Credit Cards Advisable? You may not be able to get a loan in the absence of credit, even if you have thousands of dollars in your bank account. For instance, Allen Walton, a 26-year-old living in Dallas, had to face several issues while procuring a loan to buy a car-despite having $5,000 in his bank account. Finally, he had to approach an auto dealership for help, and was asked to produce his bank statement for 24 months and also buy an extended warranty, in order to access a 6.37 percent interest rate. Allen Walton is not the only millennial who had problems with loans in the absence of a credit history. There are several others who continue to face problems everyday for the same reasons. Start using secured credit cards. This financial tool is a great way to improve and build credit scores from scratch, as it is backed by collateral, equivalent to the credit limit or the security deposit. Consequently, if you default, the credit card company keeps the security deposit to cover its losses. The best part is that secured credit cards are like regular credit cards, which are reported to credit bureaus to establish a credit trail. Given this, timely payments help you build a good credit score eventually. The reason for this is that, checking your credit report involves two kinds of inquiries – hard inquiries and soft inquiries. Hard inquiries happen when a lender checks your credit history while making a lending decision. This usually happens with your authorization and might knock off a few points from your credit score. A soft inquiry, on the other hand, is a result of a background check. It may be done by a company or person and does not hurt your credit score. Requesting your credit score, therefore, from a credit bureau does not damage your credit score. On the contrary, it is a good way to know more about your current financial standing and find out any possible ‘black marks’ and errors damaging your credit report. 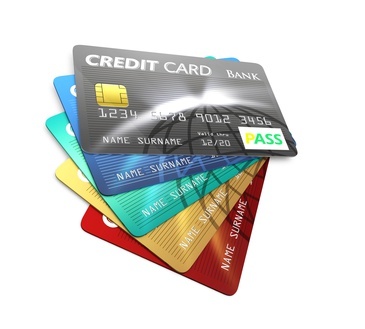 Understanding ways through which you can efficiently use credit, helps you a lot down the road. At the same time, it is imperative to monitor your credit reports from all of the three major credit bureaus to gauge your obligations, financial worth and note any ‘negatives’ or errors. You can get a free credit report from annualcreditreport.com once a year, however when looking for ways to improve credit score, always consult a professional credit repair company. 4 Reasons to Maintain a High Credit Score Even Post-RetirementThink You Know It All About FICO Score 9? Think Again!